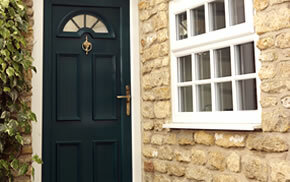 Here at the Inspire range we offer a variety of sash windows. Here’s our ultimate guide to sash window styles. A sash window is made of movable panels called ‘sashes’. These form a frame that holds panes of glazing. 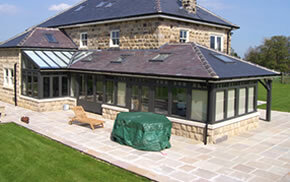 These panes are separated by narrow strips of wood or uPVC called ‘astragal bars’. 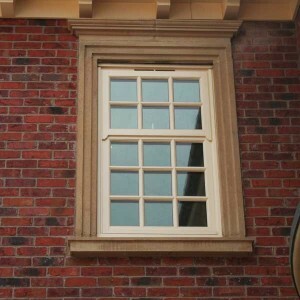 Vertical sliding sash windows are ‘hung’ (mounted) in grooves at the side of the frame. Each sash has springs and counterweights to help its opening operation. The weight of the sash is balanced with a sash weight: traditionally made of lead, iron or steel, which is connected to the window with a sash cord. This sash cord is fitted to a pulley at the top of the frame. When you open the sash window, the weight balances the movement and makes the sash easier to open. Sash windows became popular with the upper classes in the late 17th century thanks to their enhanced performance when compared to casement windows. One of the earliest known sash windows is found at Ham House in Richmond and dates from the late 15th century. Until the invention of the sash, casement windows with lead mullions had been widely used. These early types of window could only fit small panes of glass which restricted light, let in draughts and detracted from the look of the home once opened. Sash windows allowed much more natural light into a property, provided better thermal insulation and helped to enhance the aesthetics of a building. They became particularly popular during the Georgian and Victorian periods, but fell out of favour in the post-war period due to the development of aluminium. Now thanks to modern manufacturing methods, sash windows are experiencing a boom in popularity amongst homeowners looking for a beautiful, but also energy efficient window. One of the earliest types of sash windows, Georgian sashes are characterised by their clean, simple lines and the many sets of astragal bars that hold the 6— 8 separate panes of glazing used in the window in place. 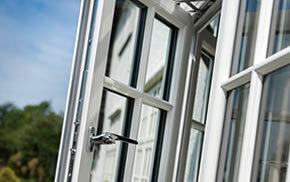 These astragal bars are generally fairly thick, reflecting the need of the poor quality glazing available in the period. The Victorians refined the sash window style further. Thanks to the development of glass manufacturing in the Victorian period, much larger panes of glazing could be accommodated in a window frame without the need for a large number of astragal bars. New sash window features such as the sash horn were developed to combat the extra weight created by larger glazing. Victorian sashes can be characterised by their ornate furniture, astragals and architraves and embellished sash horns. Edwardian sash windows utilise the same clean, simple lines of Georgian sashes but on a much grander scale. With some Edwardian sash windows reaching widths of 5 foot, this style of sash incorporated larger panes of often, embellished glazing, letting huge amounts of natural light into a property. One of the most common sash window designs, vertical sliding sashes do exactly what their name suggests: they slide open, vertically. This opening mechanism allows excellent ventilation. Also known as a ‘Yorkshire Light’, horizontal sliding sash windows are mounted horizontally, and slide open in the same way; from side to side. The opening action of horizontal sliding sash windows is similar to that of casement windows in this respect. 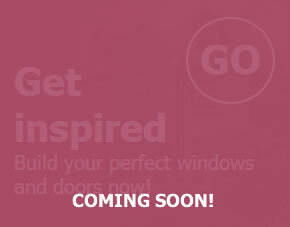 Inspire are specialists when it comes to supplying and installing high quality timber and uPVC sash windows. To find out more about the products we offer and how we can help to improve your home, please give us a call on 01977 649 641 or send us an email.